Disturbances in the normal redox state of cells can cause toxic effects through the production of peroxides and free radicals that damage all components of the cell, including proteins, lipids, and DNA. Oxidative stress from oxidative metabolism causes base damage, as well as strand breaks in DNA. Base damage is mostly indirect and caused by reactive oxygen species (ROS) generated, e.g. O2− (superoxide radical), OH (hydroxyl radical) and H2O2 (hydrogen peroxide). 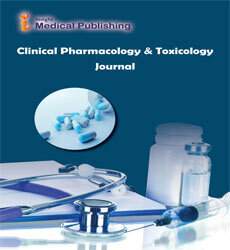 Related Journals: Journal of Pollution Effects & Control, Journal of Bioengineering & Biomedical Science, Journal of Nutrition & Food Sciences, Biochemistry & Physiology, Journal of Traumatic Stress Disorders & Treatment, American Journal of Medicine, Oxidative Medicine and Cellular Longevity.